UPDATE: Final changes were made to the AAA in June 2015. This post has not been updated. 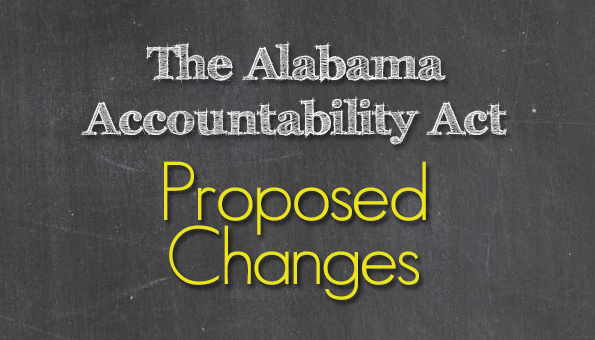 Changes are coming to the Alabama Accountability Act (AAA) in 2015. SB71 was introduced last week by Senator Del Marsh (R-Anniston) and will be up for a public hearing during the Senate Finance and Taxation Education Committee meeting on Wednesday at 10:30 a.m. in Room 807 of the State House (here’s the audio link). 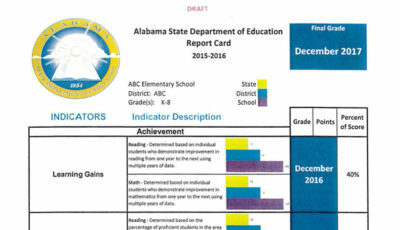 There are many changes to the original version (codified here, and in bill form here), beginning with the clarification that the “intent of the Alabama Accountability Act of 2013 was to provide educational choice”. Here’s the original HB84 from the 2013 session. Other major changes include the definition of a failing school, a bi-annual review of income eligibility of students, a change in the methodology to determine who is eligible for a parent tax credit…..well, let’s just go through the changes one by one. Warning: there are lots of changes. Warm your coffee before you start reading. Academic year would be defined as July 1 through June 30. It is not defined in the current law. Family would be defined as “a group of two or more people related by birth, marriage, or adoption, including foster children, who reside together.” It is not defined in the current law. Income-eligibility guidelines for students would be changed from 150% of Alabama’s median income to two times the federal poverty level for students zoned to “failing” public schools whose parents will take tax credits. In the current law, there are two different income-eligibility guidelines: one for parent tax credits and one for scholarships awarded from scholarship granting organizations (SGOs). In this bill, there will be only one definition that applies to both. The definition of “low income eligible student” is eliminated, as there will be only one definition of eligibility. 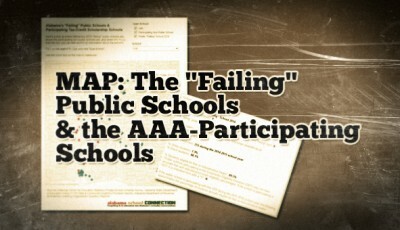 The accountability measures that would declare a school as “failing” would change. Those changes are detailed here. It’s unclear whether the length of student eligibility for scholarships is changing. In the current law, once a student is deemed eligible for a scholarship, the student remains eligible through age 19. SB71 requires SGOs to verify a student’s income eligibility every other year. However, the wording is a bit unclear and almost contradictory, stating both that a student remains eligible through age 19, but also that the SGO must determine eligibility. Once a student receives an educational scholarship under this program, the student shall remain eligible to receive educational scholarships until the student graduates from high school or reaches 19 years of age. A scholarship granting organization shall determine the eligibility of a student under subparagraph 1. of paragraph a. every other academic year in which a student receives an educational scholarship. Here’s hoping this will be clarified at the public hearing on Wednesday. The $7,500 cap on an individual taxpayer would be eliminated, allowing 100% of the taxpayer’s contributions to count toward the credit, up to 50% of the taxpayer’s tax liability. The $25 million cap for tax credits would be increased to $35 million. Contributions made to SGOs through October 15, 2015, would be able to be claimed for the 2014 tax year. This is likely due to the delay in the Alabama Supreme Court’s decision having apparently had a detrimental effect on contributions. And yes, contributions for 2015 can be made at any time and claimed for the 2015 tax year. If there is any amount remaining from the 5% cap on an SGO’s administrative and operating expenses in a calendar year, it would be able to be carried over to any subsequent year. SGOs would no longer be able to require parents to work through participating schools to obtain scholarships. Of the current participating SGOs (as listed on the Alabama Department of Revenue web site) for which a policy could be located online, Rocket City Scholarship Granting Organization, Inc. (here) and Scholarships for Kids, Inc. (here) were the only two to specifically require parents to work directly with schools. This change will require these SGOs to rearrange those practices. Instead, parents and families must work through the SGOs, and allow the SGOs to work with the schools where scholarships are concerned. That is how the Alabama Opportunity Scholarship Fund and AAA Scholarship Foundation, Inc., appear to structure their workflow currently. 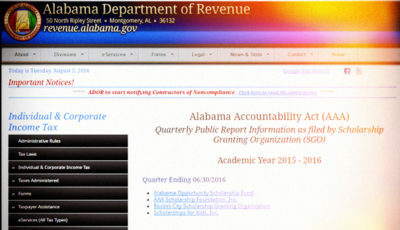 The deadline for SGOs to report to the Alabama Department of Revenue various accountability measures would change from June 1 to September 1, but the report would be more timely because the reporting period would be the previous academic year as opposed to the previous calendar year. SGOs must annually report the total amount actually funded by SGOs, as opposed to only the amount awarded (as it is now), and this would apply for both all students and only those eligible for free and reduced-price meals. The total number of scholarships awarded and funded during the quarter. The names of the qualifying schools that received funding for educational scholarships during the quarter and the total number of scholarship recipients enrolled in each qualifying school during the quarter. The total number of eligible students zoned to attend a failing school who received educational scholarships from the scholarship granting organization during the quarter. The total number of first time scholarship recipients who were continuously enrolled in a nonpublic school prior to receiving an educational scholarship from that scholarship granting organization during the quarter. The date that SGOs can release scholarship money not accounted for to eligible students (whether or not the student is zoned to a “failing” public school), would be moved from September 15th to May 15th. SGOs would be required to annually verify that the SGO, not a qualifying school, is determining the eligibility of students to receive scholarships. SGOs would be prohibited from restricting a parent’s education choice “by limiting or prohibiting the enrollment of eligible students in the qualifying school if those eligible students received educational scholarships from other scholarship granting organizations”. 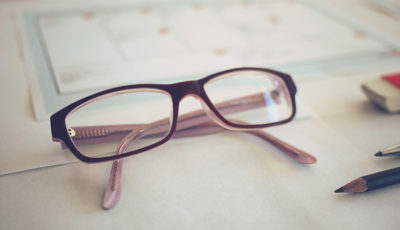 SGOs would be required to not only collect (now annually) but also file written verification from participating schools that take scholarship money from them those verifications with ADOR on an annual basis that the school complies with various policies regarding occupancy permits, health and safety laws, nondiscrimination policies, and criminal background checks, among others. A nonpublic school will no longer have to have already obtained accreditation prior to becoming qualified to participate, but instead will have three years to obtain accreditation. During that three-year wait, they will be required to follow the guidelines previously established for unaccredited schools. The requirement for a school to be in existence for at least three years would be eliminated. All nonpublic qualifying schools participating in the program will be required to maintain a web site that describes the school, the instructional program of the school, and the tuition and mandatory fees, updated prior to the beginning of each semester. If a qualifying school will accept more than $50,000 in scholarship money, the date by which they must file a surety bond and file financial information demonstrating financial viability with the SGO would change from “prior to the start of the school year” to “prior to the receipt of the first educational scholarship payment for that academic year”. Qualifying nonpublic schools would be required to provide annual verification to SGOs by August 1 that they are in compliance with the Alabama Child Protection Act of 1999. If the school fails to comply, they can be prohibited to participate in the scholarship program. Qualifying schools would not be allowed to enter agreements with an SGO that would “prohibit or limit an eligible students from enrolling in the school” based on which SGO granted the scholarship. 172 nonpublic schools are listed as participating in the scholarship program as of February 4, 2015. ADOR would be given the authority to bar a qualifying school from participating in the program for failure to comply with requirements. Previously ADOR only had the authority to bar an SGO for noncompliance. ADOR would be required to publish all quarterly and annual reports required to be filed by the SGOs (defined earlier). ADOR currently maintains a page on their web site with links to all information related to the AAA. Public Hearing on Wednesday at 10:30 a.m. Listen in during the public hearing. Live audio is available at this link.